This afternoon I went to a short seminar at NYPL on the News Challenge Grant offered by the Knight Foundation. Attendees ranged from librarians, entrepreneurs, nonprofits, and coders, and NYPL's CEO & President Dr. Marx was even in attendance. Knight rep Lily Weinberg gave us a brief history on the foundation, explaining that although it's roots are in journalism, there is an intrinsic link between news and libraries. Their mission involves promoting quality journalism, advancing media innovation, engaging communities and fostering the arts. They believe that the public should not only have access to quality information, they should be engaged as well. 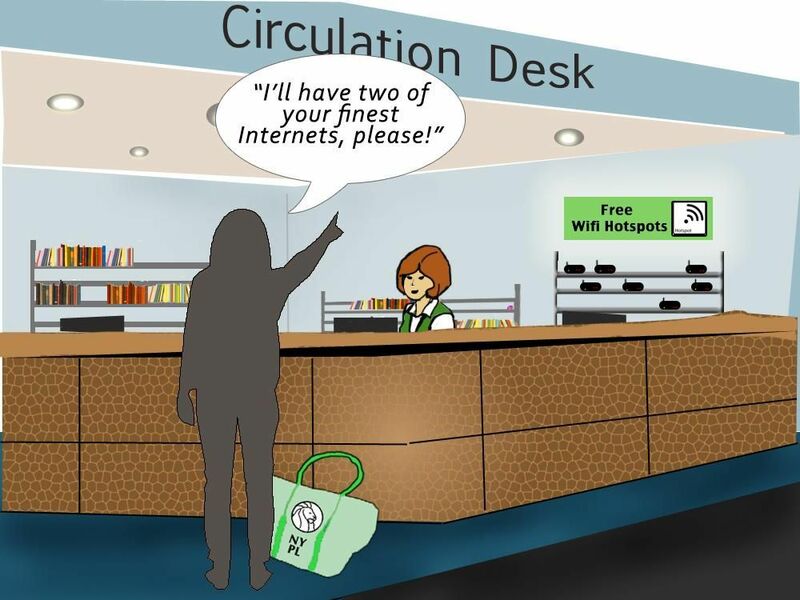 Libraries are an essential part of this information ecosystem as they create a bridge for information access. Lily mentioned that for the past year she has worked in the Miami public library system where budget cuts totaled almost 40% this past fiscal season. She commented that many public figures are on record saying things like "what is the point of libraries anymore in an age of Google?" and "why don't we shut down all libraries, give everyone tablets, and call it a day." But her argument, like ours, is that libraries play an even more important role in communities now that the digital age is upon us. With these thoughts in mind, the Knight Foundation developed this year's "News Challenge" and posed this question to the public: How might we leverage libraries as a platform to build more knowledgeable communities? Dr. Marx (one of last year's grant winners) spoke a little about what NYPL is doing to address this question and increase community engagement and information access to New Yorkers in the five Burroughs. 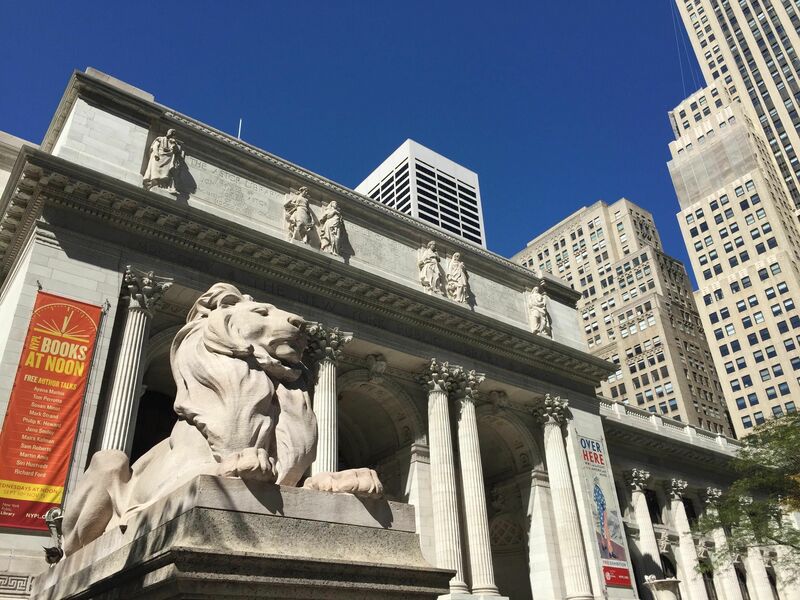 One of the most publicized efforts by NYPL is the "rentable wifi" initiative. Almost 1/3 of New Yorkers (~2 million people) don't have WiFi access at home. To address this substantial deficiency, Dr. Marx and his team came up with the idea to loan hotspots to NYPL members. Right now, the grant has funded around 10,000 rentable hotspots and, if the movement is successful, more will be added. This, as Lily Wineberg commented, is exactly the type of idea the Knight Foundation wants to fund. "It's not necessarily creative, but it's innovative, and that's what we want. Simple, clear cut ideas that will really make an impact." About 10 winners will be awarded a piece of the $2.5 million grant, and another 20-30 submissions will be awarded a prototype grant of $35,000. We are encouraged to submit as many ideas/prototypes/proposals as we want. Ultimately, these submissions should circle around ways to bridge the digital divide and use libraries to facilitate and enhance information access to the greater public. EdMedia Call for Papers - Ideas?